I loved working with Malia … she was so patient and helpful thru some crazy situations that came up..
2. To what degree was Malia sensitive to your priorities? 3. In your opinion, how were Malia’s ethics and honesty? 4. Did Malia explain alternative options to this property & risks? 5. Was Malia easily available by email, phone & appointments? 6. How was Malia’s overall professionalism? Malia is one of the best real estate agents we have come across..
A caring, helpful, and energetic agent who was absolutely wonderful and helped me get my dream come true! Thank you, Malia and I will tell my friends! Malia is considerate and accommodating. 4. Did Malia explain alternative options to this property and risks ? 5. Do you feel Malia was easily available by email and phone and for appointments? 7. How were Malia’s problem solving skills? They say Red Bull gives you wings. Obviously, they haven’t met Malia yet! Malia was always there for me. Took one year to find the right property but Malia was always there for me. Malia’s knowledge of Market place was excellent. Malia’s Ethics & Honesty were excellent. She gave excellent alternative options & risks to my property. She was easily available by email and phone. Se was very Professional and her problem solving skills were excellent. Malia was a pleasure to work with. From our first impression to the last, she was consistently professional, a good listener and showed the aloha spirit. We would definitely work with her again! Our property had numerous inquiries and showings, in which we had an offer within 30 days of listing. Malia was aware of our needs and negotiated on our behalf to ensure those needs were satisfied, and had an accepted counter offer, and closed within 30 days. Malia also ensured that we were informed throughout the entire transaction, which simplified a usually stressful and complicated process. We would definitely recommend Malia to handle your real estate needs, as we will definitely be using her again. Malia was very helpful and responsive to all our requests! Thank you Malia for everything! Selling my Waikiki condo was one of the most stressful times in my life and if it wasn’t for Malia’s expertise and support I don’t know what I would have done. She is the ultimate professional and FANTASTIC at what she does. She not only sold my home for a great price but also helped with everything from design to the staging. If had it to do all over again I would choose Malia 1000 times over!! If your reading this testimonial, save your self some time in searching for a realtor because you have the one you need right in front of you….MALIA MEENDERMAN! I got the perfect home! I was still in Boston when I contacted Malia to help me find a home in Hawaii. I moved in Hawaii in Dec 2004 and by Feb 2005, I got the perfect home! It was my first time to by a home. Buying your home for the first time can be very stressful because you have to find the home that you will really love to come home everyday. And looking back the time that Malia helped me find the right home, I realized that she had a keen sense of knowing right away which home made my eyes twinkle the first time I stepped in to check it out. I knew that helped me decide to believe that I can go through the process of buying my first home. I did several transactions with Malia, including buying and selling a Waikiki Landmark condo and other investment properties. Her service, professionalism and knowledge are the best I ever have experienced. Malia made our first condo purchase seamless! Malia made our first condo purchase seamless. We would definitely recommend her to our friends and family. She was very knowledgeable about the Oahu real estate market which made us feel more confident in buying there. Thanks Malia for a great experience! You are my #1 Realtor and a great friend! Thanks for all of your help! Many thanks! I had made the right decision…..
Last year I listed my beachside rental property with Malia, I knew right from the beginning I had made the right decision. I had outstanding service and she got a full priced offer soon after it was listed. She seemed to know just what to do from a good market analysis to staging the property and the tenants for a great presentation. She gave me great comfort because she responded immediately to my e-mail questions, phone calls and text messages. I felt very important to her. Represented international clients from Hong Kong, Japan, South Korea, Taiwan, China, the Philippines, Singapore, Australia, New Zealand, the Netherlands, the United Kingdom, Switzerland, Sweden, Germany, Canada and more. 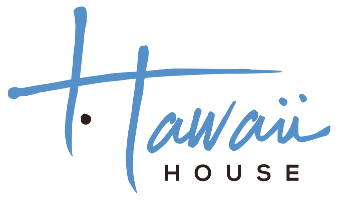 I am thrilled to be the principal broker at Hawaii House. Starting my real estate career in the early 1990’s at my mother’s real estate company in Kailua, I had no idea that one day I would be a part of such an innovative and exciting company. 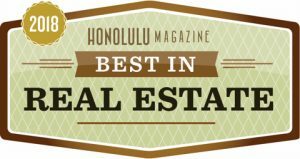 Since receiving my Hawaii real estate license 15 years ago, I have worked hard for my clients bringing them in-depth local market knowledge with impeccable service infused with the Aloha Spirit. Being born and raised on Oahu has given me such a deep understanding of the different places, culture, and history of the islands. Also, I love to analyze and uncover trends in the market to help my clients make the best-informed decisions about buying, selling and investing in real estate. People love to work with me because I am responsive, knowledgeable and pay attention to details. When my clients win, I win. Now, I have poured all of my experience, knowledge, and enthusiasm into Hawaii House. It is a culmination of my years in real estate and growing up here in Hawaii. 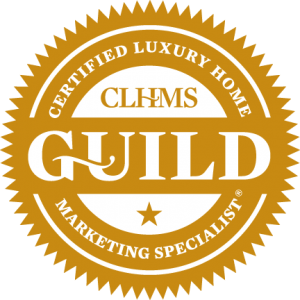 It also represents the quality and service that my clients deserve. Welcome to the Hawaii House! Making my clients happy and putting a smile on their face, makes me love what I do. Most of my clients become good friends in the process. No matter if you are a friend, high net worth individual, celebrity, investor, or a first time home buyer, I will respect your privacy and be happy to give you my heroic service. 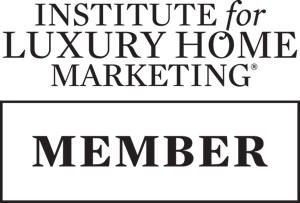 Work with me and discover why I have so many repeat and referral clients!